This was a series that intrigued me for quite some time but I only managed to watch it in the past 3 weeks. Yes it took me longer than the usual time for completing a season of TV series, but I was on holiday for more than 10 days and only managed to see 1 or half an episode late night. So when I finally got home last Saturday, I managed to finish the last few episodes on the following day. Well here goes. Story was set after the events from season 2 of Daredevil where Frank Castle (Jon Bernthal - The Accountant, The Walking Dead TV series etc) already settled the score with the people who murdered his family and was living like a hermit. However his "peaceful" life would soon be disrupted when he was noticed by a mysterious character who called himself Micro (Ebon Moss-Bachrach) and was very good in hacking. He seemed to know a lot of Castle, including his previous engagement as member of special forces in Kandahar, Afghanistan under the instructions by CIA operative known as Agent Orange (Paul Schulze - Rambo (2008 version), 24 TV series etc). Castle also had friends from his time in the corpse such as his best friend Billy Russo (Ben Barnes - The Chronicles of Narnia: Prince Caspian, Seventh Son etc) who was now owner of private security contractors and Curtis Hoyle (Jason R. Moore) who was more like a counselor for ex marines or armies. One of Curtis' group therapy members was Lewis Wilson (Daniel Webber) who was suffering from acute PTSD and seemed like he was going to explode anytime soon. Meanwhile a Homeland Security Agent named Dinah Madani (Amber Rose Revah - Son of God etc) just returned from Afghanistan and was focusing on investigating an illegal operation in Kandahar few years earlier, despite not approved by her superiors. She was partnering with Sam Stein (Michael Nathanson) in trying to uncover the mystery of that operation which would led them to a heavy cover up & conspiracy. So what actually happened in Kandahar? And what was Micro's role in this? Why would Castle be involved? Find them all in this cool & violent action series. 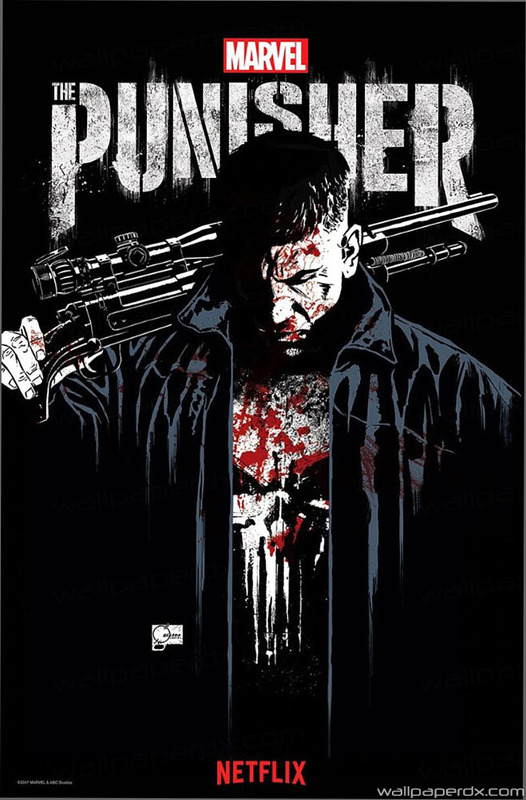 When I first saw The Punisher character shown in season 2 of Daredevil, I was pretty pumped up. Jon Bernthal was so convincing as an ex military special forces person who lost his family and just want to revenge for everyone responsible. So obviously when I watch this season 1, I expected same type of violence, brutality and full action series. However, what I got was completely different. Probably the reason for that was due to its earlier plot was focusing on the time after Frank Castle already done with his revenge and dealing with his personal issues of no longer having the family that he loved so much and blaming himself for it. The pilot episode was a bit slow but ended with a bang. Subsequently though, the series became a little bit more like a drama with touches of few mysteries, which made my interest on the series a bit decreased. After very few brief action scenes in 1 or 2 episodes in the middle, I began to become really excited when reaching the 8th episode and from then onwards, it became very thrilling and exciting, with a very satisfying finale fight scene. However, the ending did not really make me impatient to see the second season as it felt more like a real ending. Personally it felt like, even without a second season, The Punisher could have ended then. But when I read some news about the series, apparently there would be a second season. So yeah, let us see what kind of story they were going to make then. What made me lose a bit interest in the series was actually the parts involving Lewis character which to me felt like a distraction, though ultimately he did have an important role to make the series exciting later on. Personally however, I think it was taking too long. The main villains here were very good and really wonderful and I enjoyed their performances. Meanwhile Micro's family stories also were emphasized a bit too much, to my opinion. In term of action, this was amazing. 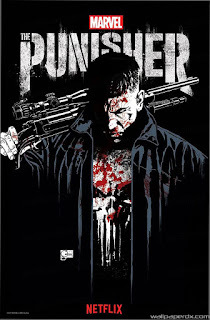 The brutality of Frank Castle as the Punisher was really apparent and as I already said above, Jon Bernthal was truly suitable for this character. Another thing that I also enjoyed was the appearance of Deborah Ann Woll as Karen Page from her previous roles in Daredevil. Her addition in the series did not feel forced and in fact she felt like an integral part of the Punisher story. This was a refreshing thing instead of continuously having Rosario Dawson as Claire Temple in all the other spin-off series (not that I am against Rosario whom I think was a good actress, but I would prefer having different characters for the crossover). Finally as a complete 13 episode series, I think this one lacks the fast pace that Daredevil had and felt a bit draggy. If it weren't for the final 4 episodes that I loved, maybe I would say this was the 2nd most boring Netflix' series in the Marvel universe after Luke Cage. So if you are going to watch this expecting a full action, bloody violence series from start to finish, then better be ready to wait a while till it really got interesting. My most favorite episode in this series would be 10th which was really well executed (need to fully concentrate on this one), and of course episode 11th & 12th which I think was the cream of it all.